Create content and maximise its impact to add value for your customers, increase retention and attract new customers, train employees efficiently, and more. Content creation is a huge part of a company’s online presence. 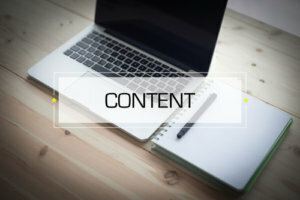 Blog posts, podcasts, webinars, video presentations, e-learning modules… Many companies know that content works, that they should do more of it – but how? And where do you find the time? Have you found yourself in one of these scenarios? 1. Your company has solid training resources to induct new employees… but they’re scattered all over the place. New recruits never get around to studying the modules because there’s bits of them all over. Vital tacit knowledge is lost – as well as time and money. And nobody at the company has the time to give the whole thing an overhaul. Consolidate all resources in one easily accessible place, allowing employees to return to it again and again at their own pace, and to follow an intuitive learning path. 2. You have spent a lot of time and energy putting together an incredible event… but once the event is over and delegates are gone, you have the strange feeling you have nothing to show for it. And once the event is over, you’ll be up to your neck in work and things to catch up on. Leverage the event and create content that naturally arises from the event itself. Boost excitement before the event, anchor learning and takeaways during the event – and use the content to remind attendees of the fantastic experience afterwards! 3. You want to advertise a new venture or spread awareness about your offering… but you want something longer-lasting and more valuable to users than just an ad or a press release: you want a useful resource that’s valuable in its own right, while also making people aware of the solution you offer. But you’re busy enough as it is developing the offering itself. Find the content type that’s right for your offering and create blog posts, podcasts, targeted campaigns or webinars. 4. You need to reach your community of members, customers or employees… but they’re all over the world. How do you create a virtual “meeting space” where they can cultivate a sense of community despite geographical distance? Where can they share valuable insights that will boost their prospects, both internally and from guest speakers and thought leaders? Host regular webinars and create a library of recorded content. 5. You have started a content initiative, but you really want to wow stakeholders with an impressive content package. How do you reinforce your initiative from humble beginnings to a seamless experience that reinforces your brand? You could go in so many directions and you’re afraid this will stall the project. Consult with us to reveal the full potential of your content initiative and magnify its impact. That’s possible with our content creation and content curation service. Use the content internally or distribute it via your website or social media profiles. You would like to create momentum or accountability around a new initiative in your company after a launch event or in preparation for a concluding event. You have scattered resources that you would like to consolidate in one place, and you would like that content to be organised into a logical, intuitive reference that’s easy to navigate. You want to create a resource for your team: a training manual, a reference manual or an induction course. It can be a standalone resource or it can come as a complement to one of HayesCulleton’s trainings or speaking events. You want to create exclusive, proprietary content to disseminate through your social media or email newsletter, or to give members, clients or employees. What kind of content do we offer? From content planning to content development, logistics, analytics and consultancy, we have experience with managing the entire process, or any part of it. We can provide articles, texts, videos or podcasts. These can be uploaded to your own website, or to an event-specific website. We can deliver just the content, and you populate the website, or we can take care of populating the website ourselves once you have approved the content and given us access. This is perfect if you want to create momentum and accountability around a new initiative. Follow up with your team over time, with regular reminders about important information, new habits to implement, encouraging messages or practical tips and action steps. We can provide text that you can then simply copy-paste into an email, or we can provide links to be included in the email. Depending on your needs, the links can lead to content hosted by you, or by us; we can also manage the entire endeavour in-house. Through videos, podcasts, workbooks and other packages, we can create a full course or training on the topic of your choice. We can create thought-provoking video, audio or text content to be disseminated through your social media presence for more engagement with your audience. Wherever they are in the world, make it possible for all your delegates to tune in to a presentation or training by the HayesCulleton team or by guest speakers on a range of themes and topics. During the webinar, delegates can interact with the speaker, run polls for realtime market research and ask questions. After the webinar, access the recording and the slides whenever you need. Magnify the impact of your event or training. Reach employees, customers and members remotely, with a resource that’s available 24/7. Get in touch with HayesCulleton now to discuss your needs and create your custom content solution. Reach out to us by phone, email or via the form on our contact page. HayesCulleton participated in the closing event of the campaign and created a complete information path to guide the public through a wealth of NHS resources. The resources were available across many different websites, but there was no way to access all of them in one place. The new repository of links gave users an easy to navigate, complete resource. HayesCulleton created 6 complete video suites for CPA’s career advice centre. The videos are freely available but also showcase the richer resources that are only available to members. HayesCulleton took care of everything from designing the briefs to interviewing experts, to scripting and recording the videos. Once ready, the videos only needed to be uploaded to the CPA website. Recruitment company Morgan McKinley offered their members a quarterly “Economic Outlook” webinar. This webinar was based on expert economics insight by Susan HayesCulleton and the recording was then offered as a video on Morgan McKinley’s website and YouTube channel. The information and analysis shared had a direct impact on workforce planning processes (for the companies) and on job interview skills (for candidates, who were able to come across as highly knowledgeable and up-to-date). Working with Morgan McKinley, HayesCulleton defined a series of themes to allow Morgan Mc Kinley to position itself as a thought leader and offer expert insights into company culture topics that companies and candidates are grappling with. Based on latest financial markets information, this weekly webinar showcases an investing strategy using proprietary VectorVest software tools. The webinar increased customer retention across all calendar metrics (monthly, quarterly, yearly) and the resulting videos are available to new members. With this precious library of strategies, they can immediately see the returns of their investment into the software. This course for VectorVest Europe is based on the flagship Options Jumpstarter course by VectorVest USA. Using our in-house financial markets expertise and content development know-how, HayesCulleton worked closely with translators to adapt this course to a European context. Once the content was created, HayesCulleton had the course professionally recorded and then the audio was mapped to the visual content. We took care of the whole process from start to finish, crafting the different parts of the course and working with the technical team to deliver the finished product, in keeping with exacting VectorVest quality standards. HayesCulleton also took care of strategy, sales and management teams. Part of HayesCulleton’s Savvy Women venture, the Savvy Women Podcasts are relaxed conversations with incredibly accomplished women. Business owners and high-profile employees share their experience, lessons learned and success strategies with Susan HayesCulleton.